When it comes to matters of fashion here at COLOURlovers, member palettes and patterns are inspired by all sorts of items in a wardrobe--dresses, neckties, pants, handbags--the list goes on. But a few items see a little more love than the rest: suits, shirts, shoes and--as we'll see today--sweaters. 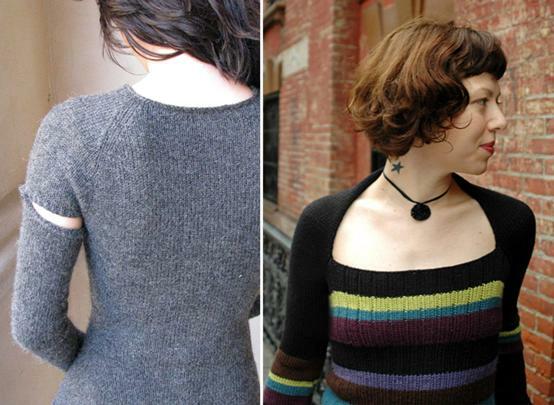 "There are many reasons for the new sweater enthusiasm," the article states. "Selections in both color and style are wider than ever. 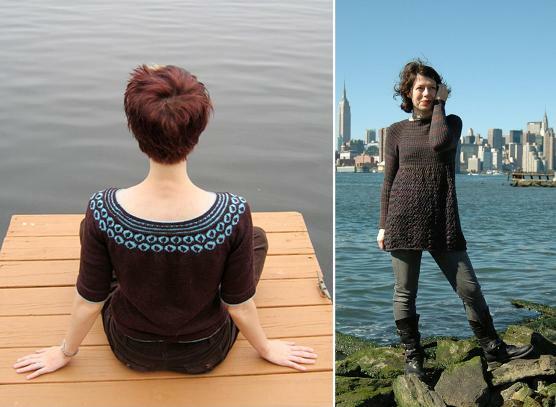 In both London and New York, a big seller is the dolman (or batwing) version, which has long, wide sleeves growing out of its wide waistband. There are snug, armless sweater tubes and long sweater dresses. 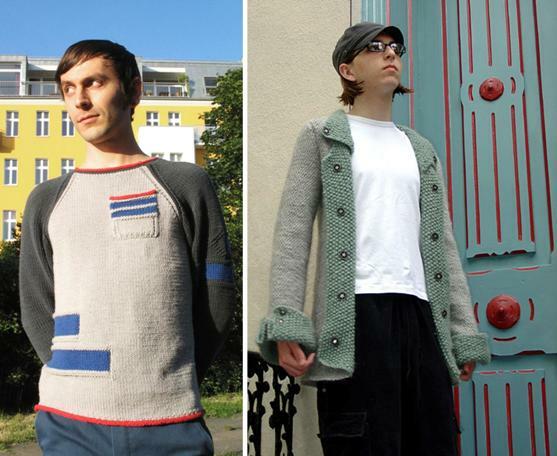 Many sweaters now sport knitted-in portraits of people or animals. Betsey Johnson's 'ecology' line features trees and fish; Giorgio di Sant'Angelo portrays a plane taking off. Stan Herman's trompe 1'oeil sweater dresses have fake belts and scarves knitted into the material. Others contrast jazzy colors, stripes and polka dots in dazzling juxtaposition. 'Sweaters are completely different now,' says Sant'Angelo. 'We have these fabulous synthetic yarns and colors.' Says Herman: 'Sweaters are the only way to dress.'" 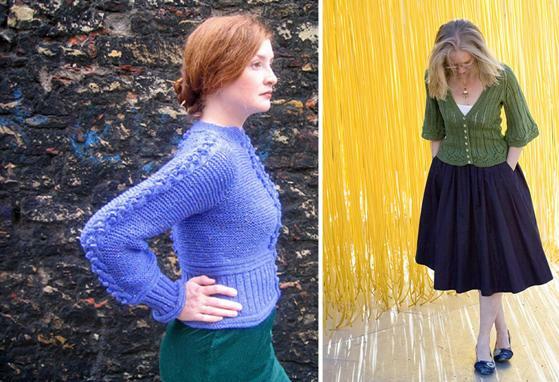 And sometimes, even nearly 40 years after that article, sweaters offer the best color inspiration. 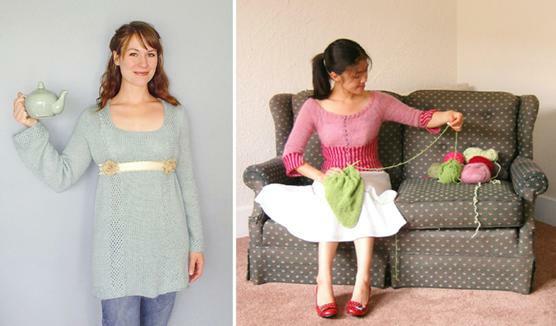 We've got 20 pages of palettes and patterns devoted to the sweater's varied existence; here, we're taking a look at some of those colorful interpretations alongside the sweater creations from contributors at Knitty.com, an online knitting magazine with an extensive archive of cool projects. Click on the photo credits to be taken to each sweater's free pattern. What's your favorite sweater? How do you wear it? oh I <3 sweaters too! I love to chop up old ones and re-invent them. great post.